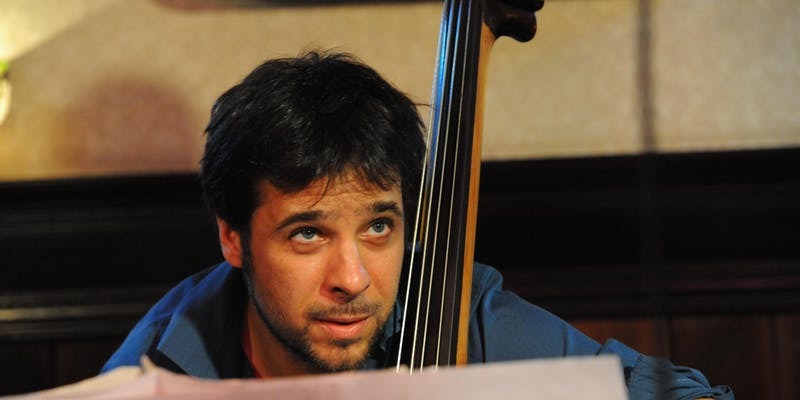 As part of DC Jazz Festival, bassist Javier Moreno presents "In Sides", a new project of contemporary jazz and improvisation that reflects roots, longings, ruptures, and hopes. Javier Moreno's "In Sides" aims to capture the pure essence of vital movements through contemporary jazz and improvisation. The concert is a trip in constant transformation, establishing transversal dialogues between North, South, America and Europe. This new proposal by the bassist Moreno addresses an internal and intimate reflection on the duality of being divided between places and spaces permanently. Through a total of eight pieces, roots, longings, ruptures, and hopes are reflected. His professional career has been dedicated to various musical scenes within contemporary jazz, flamenco, and other musical genres, and he has collaborated with diverse artists such as, Gerald Cleaver, Tim Berne, Dino Saluzzi, Tony Malaby, Jeremy Pelt, Mat Maneri, George Garzone, Craig Taborn, Greg Tardy, Badal Roy, Carmen Linares, Agustín Carbonell "El Bola”, Javier Ruibal, Arcángel, Rycardo Moreno, and David Dorantes.